Why do you Need to Go for Periodical Car Service and Maintenance? It is not really tough to take care of your car and do the basic maintenance for your car. There are many things which you could do by yourself like you could use the silicon lubricant to prevent rusting of your car and its accessories. Routine preventive maintenance and car check could help in keeping the car under dependable and safe condition. It helps in saving lot of money. 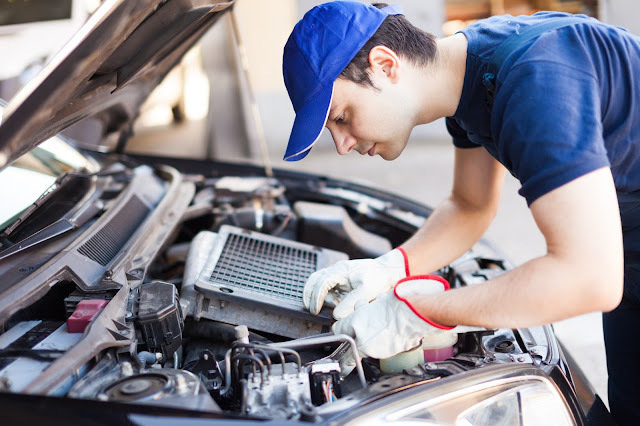 Listed below are few tips which you could follow for major car service maintenance. An engine consists of various moving parts like crankshaft, pistons, camshaft and valves. The engine will ensure that all these parts are properly working together. Oil helps in reducing the friction and thus helps in preventing the wear and tear caused by the parts moving against each other. Apart from that, oil also helps in heat dispersion. The oil will absorb the heat generated in the piston and combustion chambers, thus helping in cooling down the engine and protects it from overheating. It also acts as sealant. The engine oil helps in sealing the space between the cylinder and the piston ring to avoid the loss of combustion pressure. Lastly, it neutralizes the acids formed by the combustion gases and thus prevents it from corrosion, rusting and damage to vital components. Regardless of the age of the vehicle, engine oil must be checked regularly. You should only top up with the engine oil of correct grade mentioned by the manufacturer. While you top up, ensure that it should not exceed the level recommended. It is very much important for maintaining the vehicle’s safety and is considered as an important part of major car service maintenance. It is compulsory to regularly check the tires and before going for any long trips. The tires which are maintained correctly will extend the life of the tire, improve the safety of vehicles and fuel economy. The inflation of the tire should be checked once in 2 weeks. The recommended pressure for your tires will be given in the owner’s manual. If you notice any abnormal wear patterns, then it indicates possible suspension problems or wheel alignment. Ensure that the tires have a minimum tread depth of 1.6mm. How to take Care of Power Steering? The fluid could be checked through the reservoir. You should check your owner’s manual of the vehicle to know more about the specific location. You should only use the oil recommended for your vehicle. This too can be found in the owner’s manual. Take care not to over fill beyond the capacity of the reservoir. The key components of any car’s electrical system are the battery and also root cause of most of the vehicle breakdown. Few simple steps could help you to keep the battery in its optimum condition. Always ensure that the level of electrolyte is correct. Use only distilled water to top up. Most of the new batteries are maintenance free and does not need topping up. Ensure that the battery is secure. If at all you have not changed the battery in last 4-5 years, then you should go for a replacement as the battery will fail without any warning. For a major car service maintenance, it is advised to regularly conduct the check up of your vehicle as suggested by the manufacturer.